Based on our award-winning Pocket Informant for iOS – Informant is now designed for macOS. 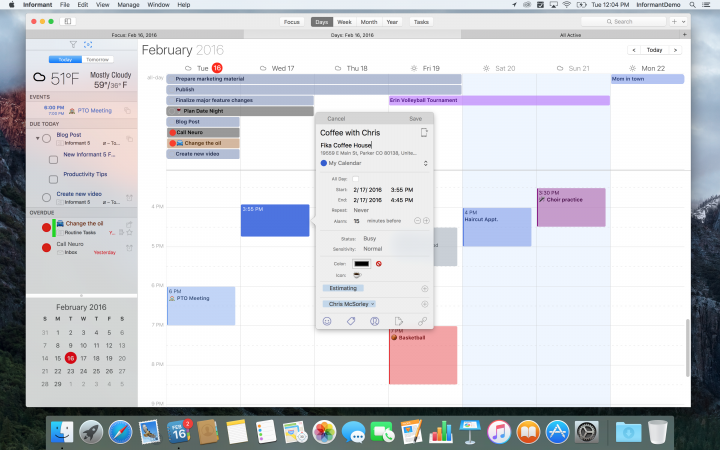 You can manage your calendar events and tasks right on your macOS. Includes access to: Google Calendar and Tasks, Toodledo, and Informant Sync. Check out the product page for more screenshots. This purchase includes all 1.x releases.